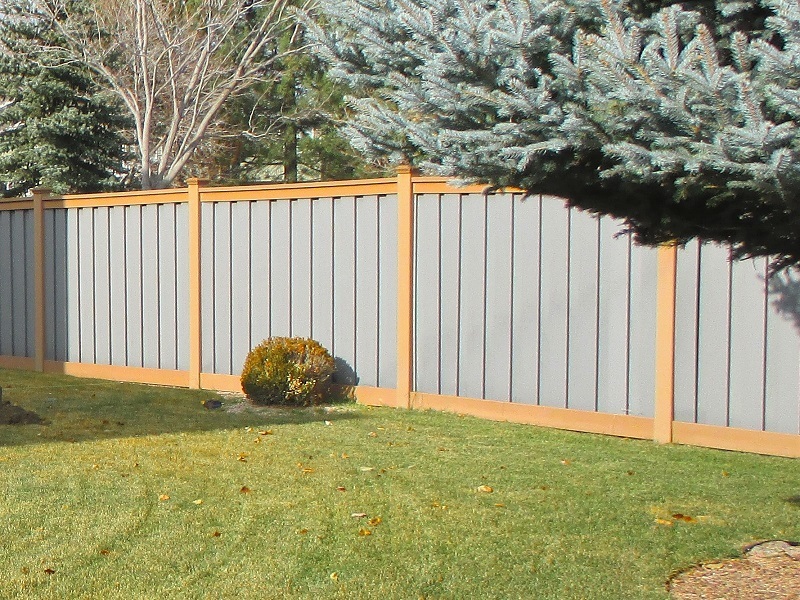 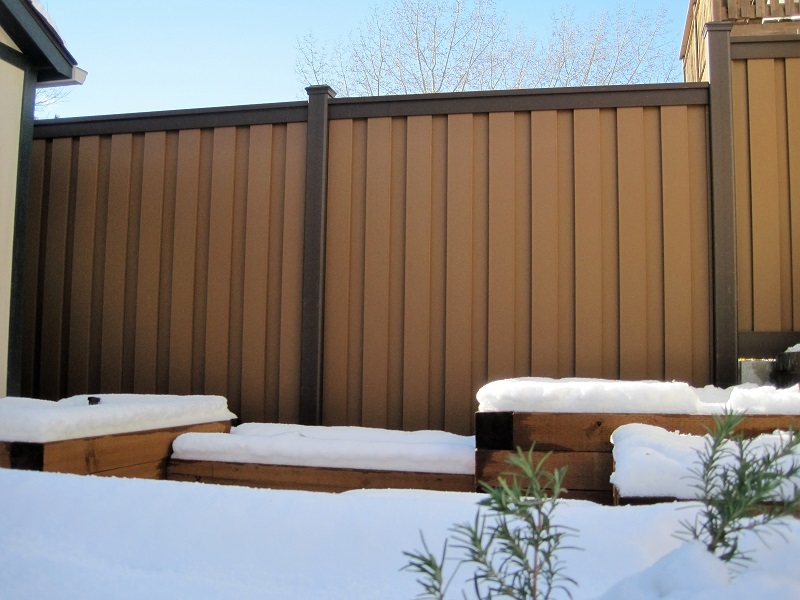 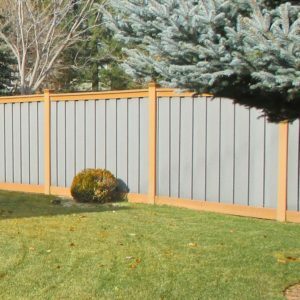 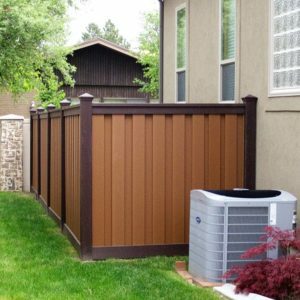 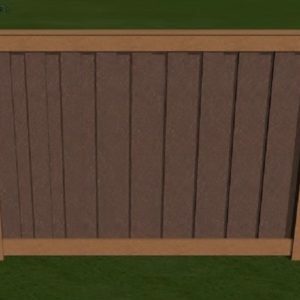 While the Trex Seclusions system is based on specifically configured designs, the fact that the material is not assembled in pre-built panels means a person building a fence has quite a bit of latitude for creativity. 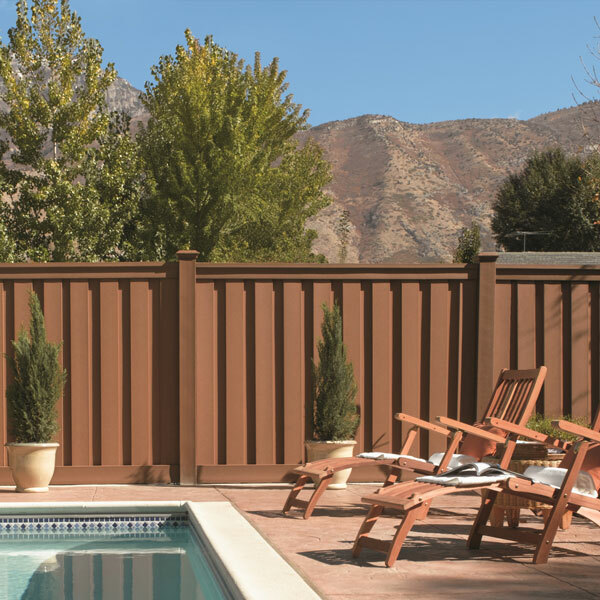 Trex is similar to wood in that it can be cut to any length from its original dimensions. 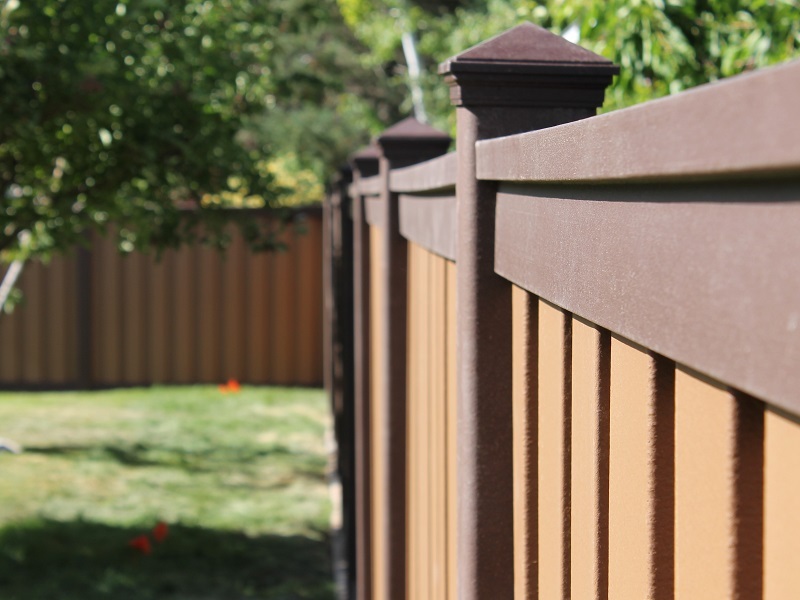 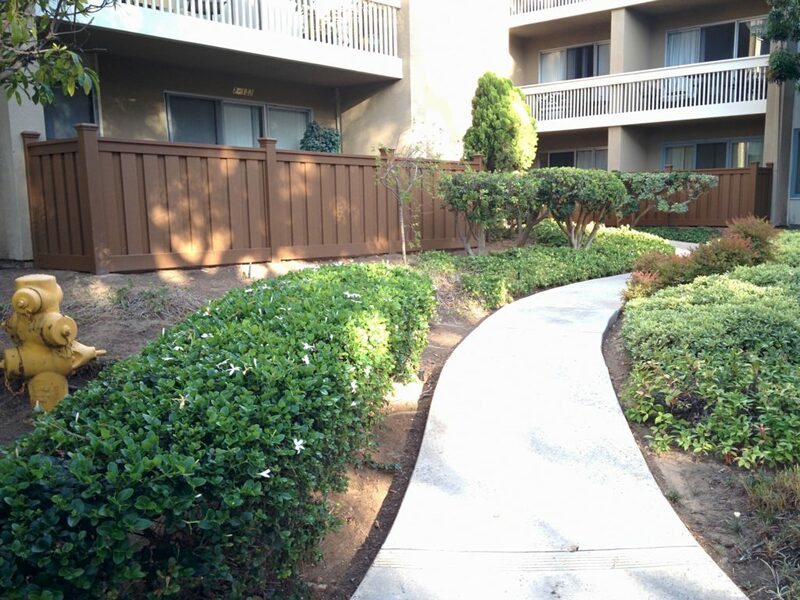 That’s why it’s easy to build a fence shorter or taller than the standard 6′ or 8′ tall height.  The components can also be used in combination with other materials as we’ve written about in previous posts (such as bamboo fill in between Trex posts and rails). 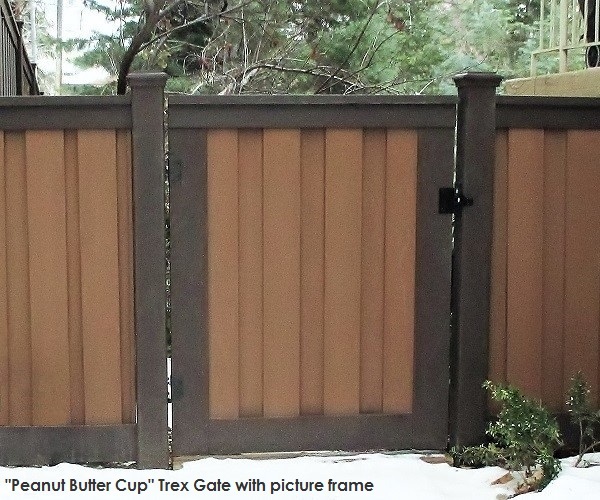 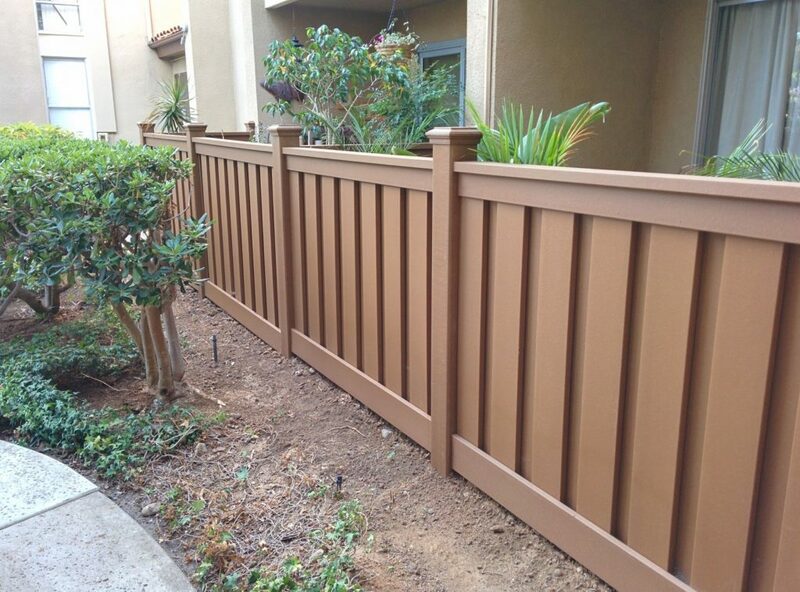 Here are two designs contributed by contractors that have adjusted the configuration of the Trex fence. 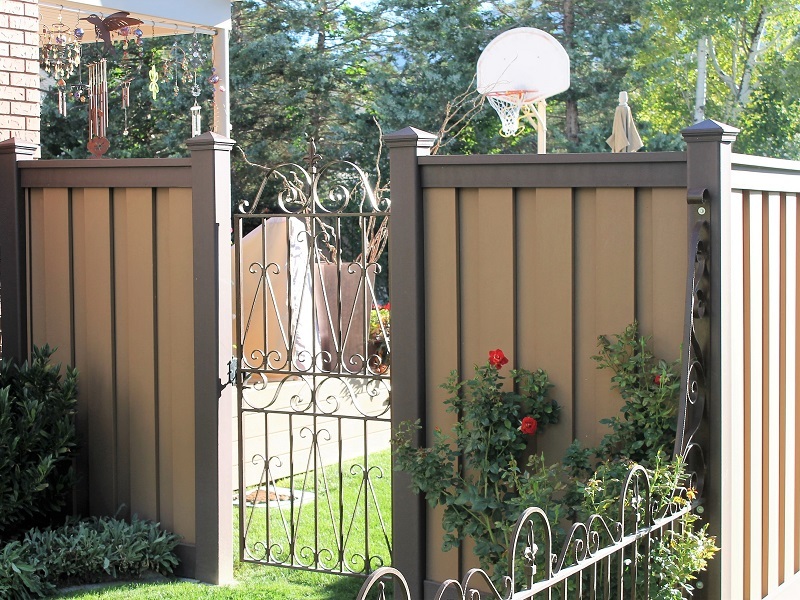 The first example is a semi-private fence with a baluster top to provide a more open appearance. 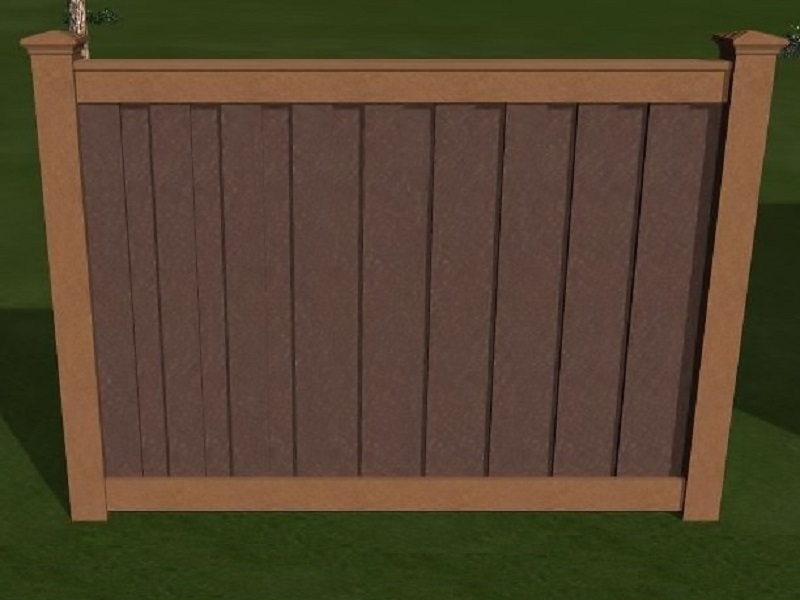 There are a couple of different ways of building this style. 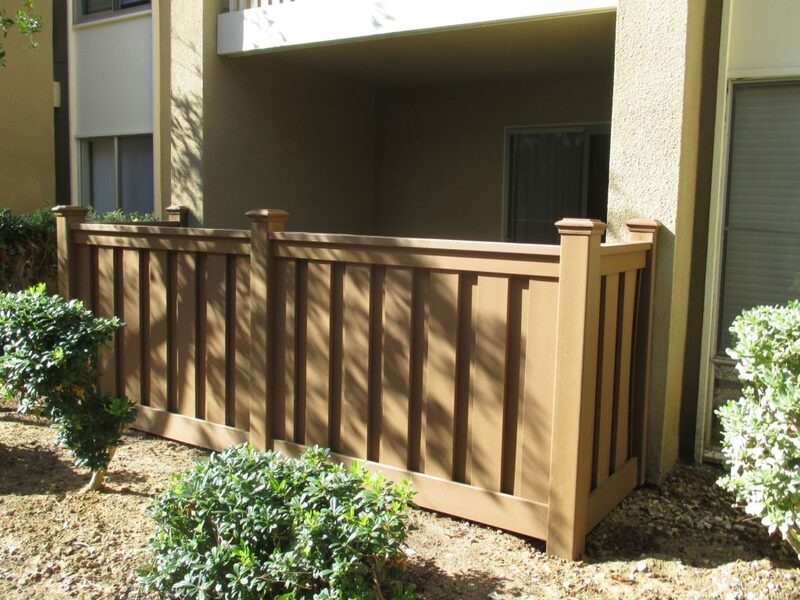 In both cases, a frame is built with balusters spaced apart like railing to create an attractive window without compromising security. 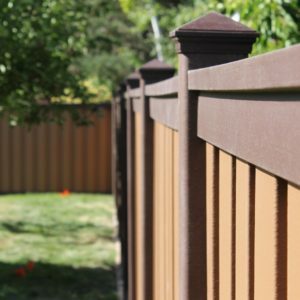 The method used to create the look for the baluster top is simple. 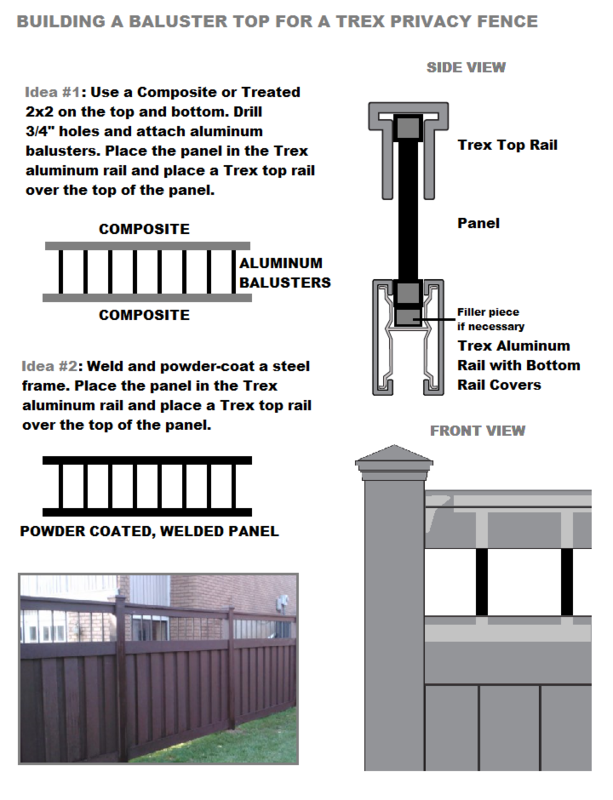 Since the Trex aluminum rail is shaped like an “H”, channels exist on the top and bottom where material can be inserted. 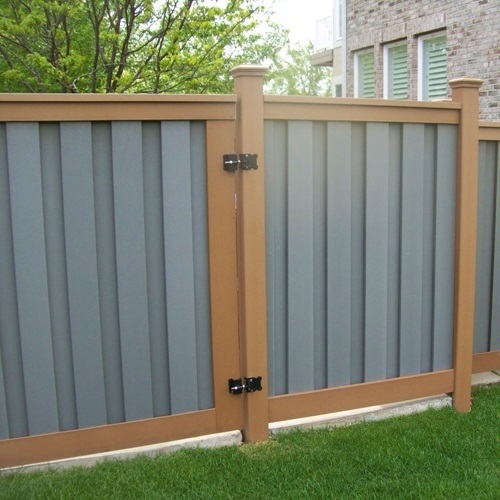 In this design, a second bottom rail serves as a mid-rail which allows the pickets beneath to be enclosed by the bottom cavity of the aluminum rail and a semi-privacy panel is dropped into the top channel of the aluminum rail. 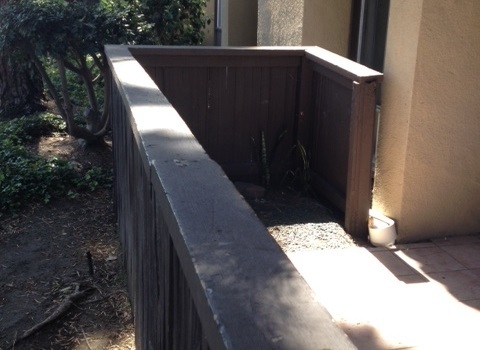 Then, once the panel is in place the Trex top rail is placed over the top of the panel to secure it. 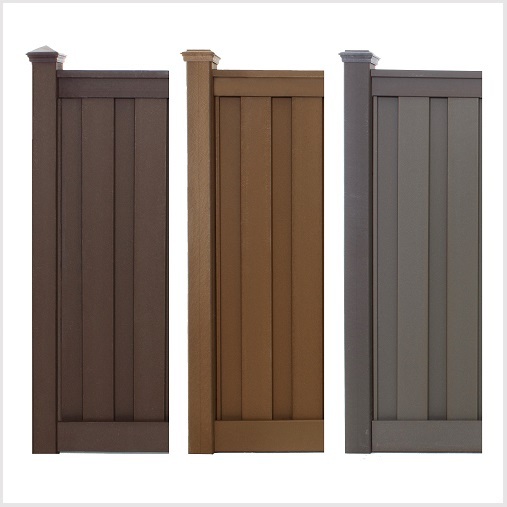 Keep in mind room needs to exist for the top rail brackets, so the baluster panel would need to be a little narrower than the actual space between the posts. 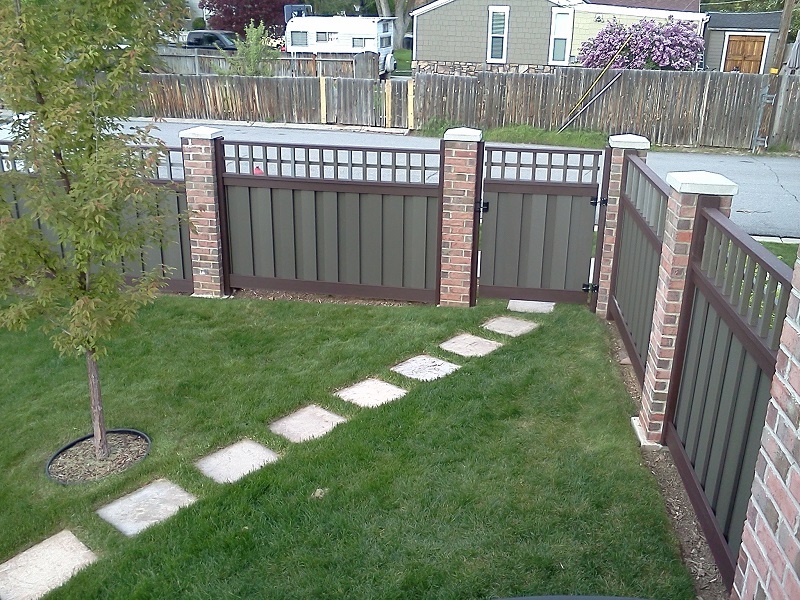 Here’s a graphic that shows the basic principles of this design. 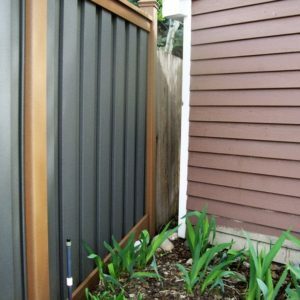 The second example is a clever use of Trex fence pickets to create a closed-off space under a deck. 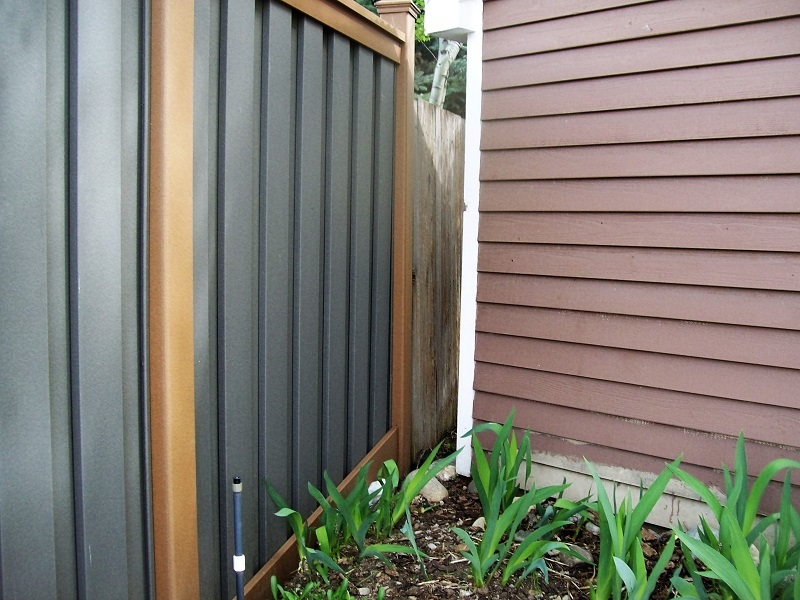 In this instance, the homeowner had the need for outdoor storage that he wanted to keep out of site. 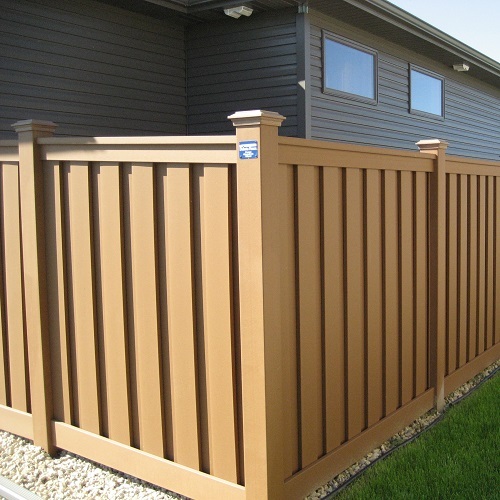 Using the interlocking Trex picket system, the contractor framed a structure under the deck and built a sturdy wall and door. 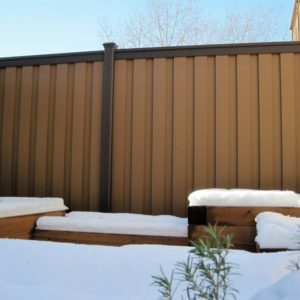 The finished look complimented the Trex decking material above and gave the whole deck a beautiful finished look. 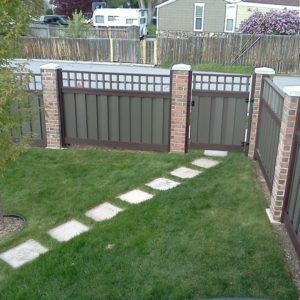 Because the pickets interlock, the space underneath is completely hidden. 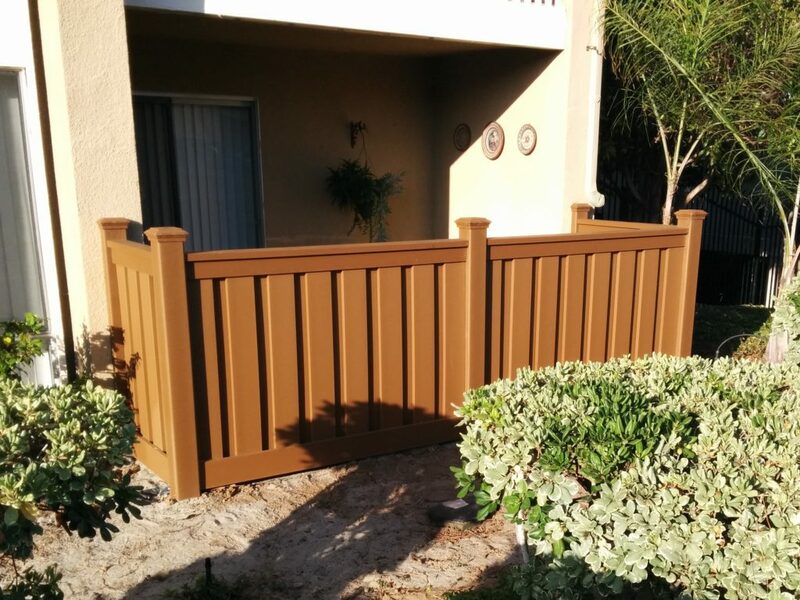 We love project photos and it’s always interesting to see how customers use their creativity to come up with unique designs using the Trex fencing product. 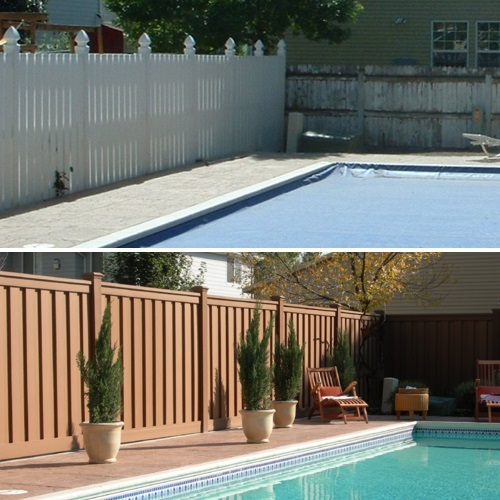 Here are some recent examples of these types of projects. 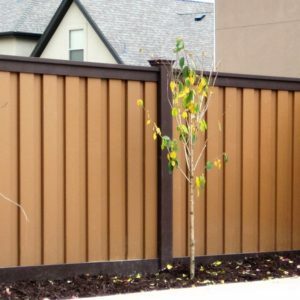 Trex Fencing with Bamboo. 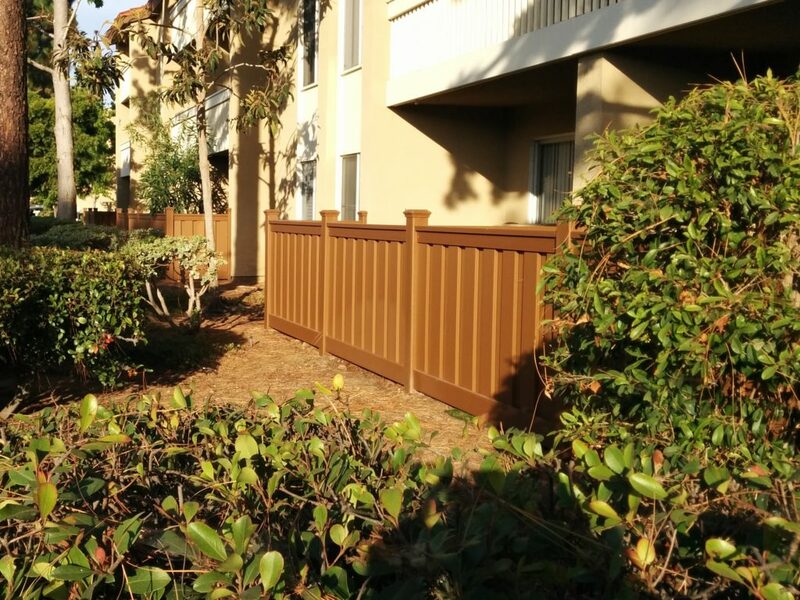 For this particular installation in Miami, Florida, the homeowner wanted a completely distinct look and chose to combine Trex fencing with bamboo in between the posts and rails. 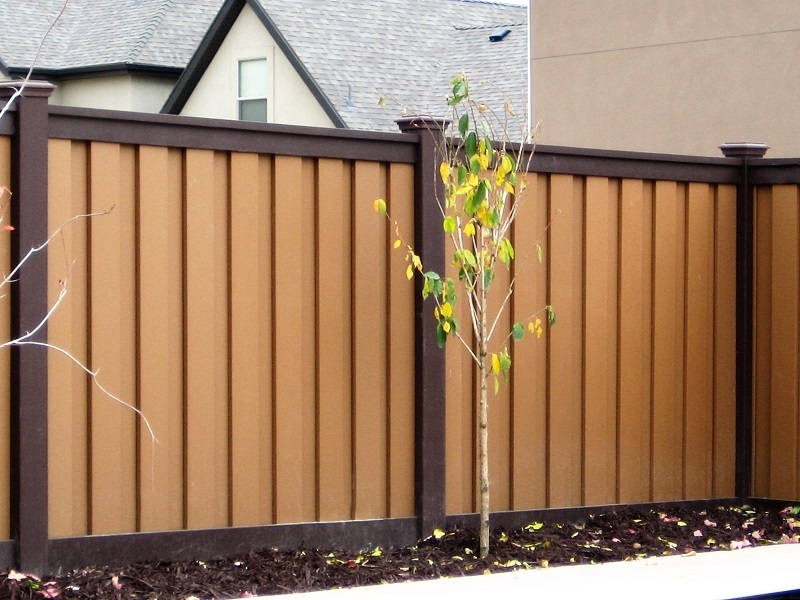 This gave the fence some transparency with a combination of finished and rustic elements. 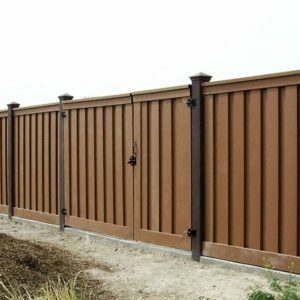 Trex Posts for a Pool Fence. 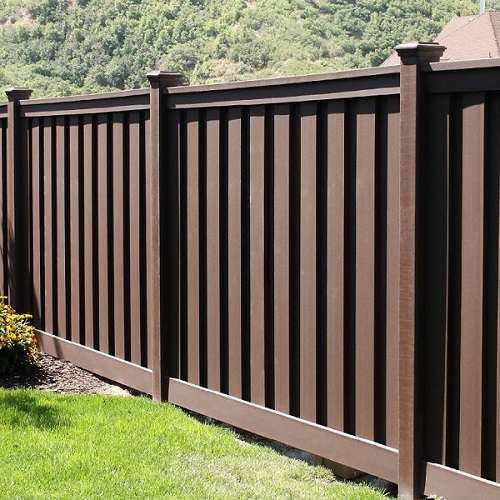 Previously, we’ve highlighted how good Trex posts look with ornamental metal panels. 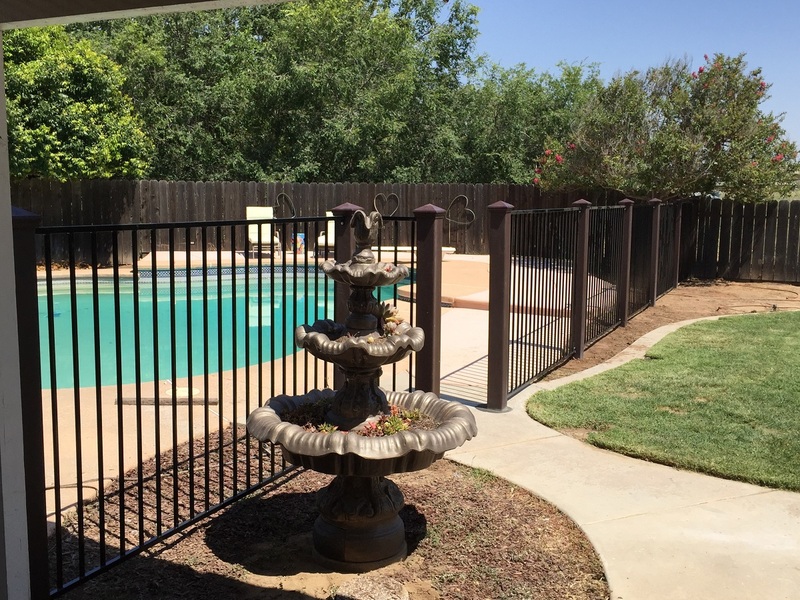 Here’s an example of an installation near Clovis, California around a pool where the Trex posts provide a substantial and colorful appearance to compliment the iron panels. 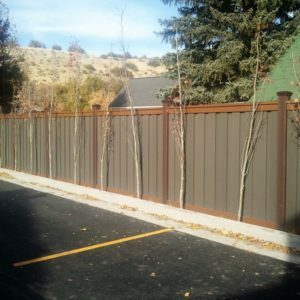 The contractor easily attached the panels to the Trex posts using mounting brackets. 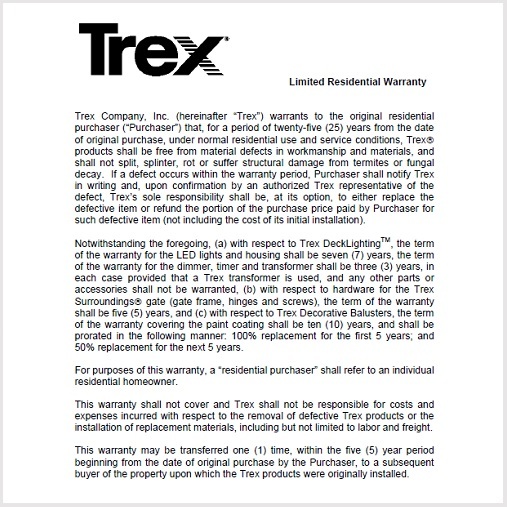 Trex for Utility Enclosures. 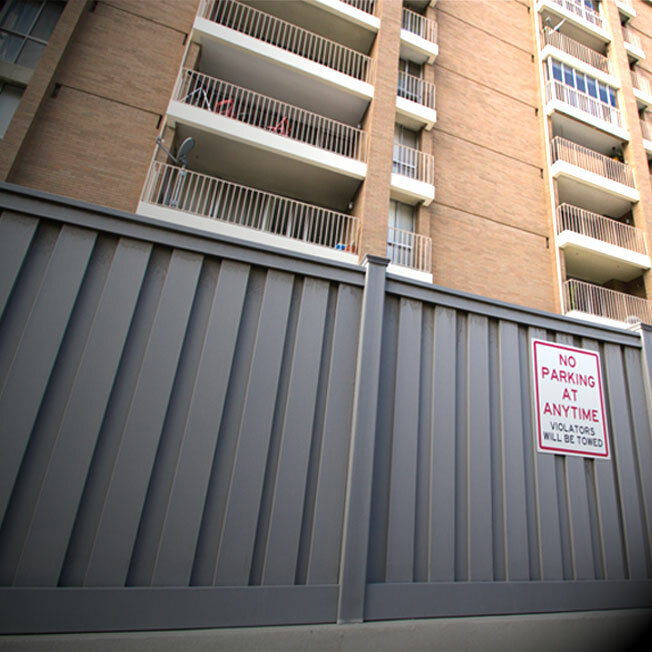 The industrial look of utilities such as HVAC units or electrical chargers can feel out of place or distracting to the eye in areas where aesthetics are important. 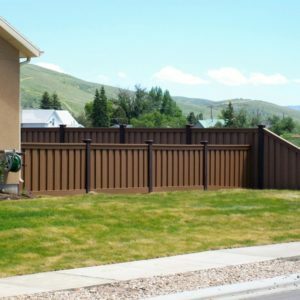 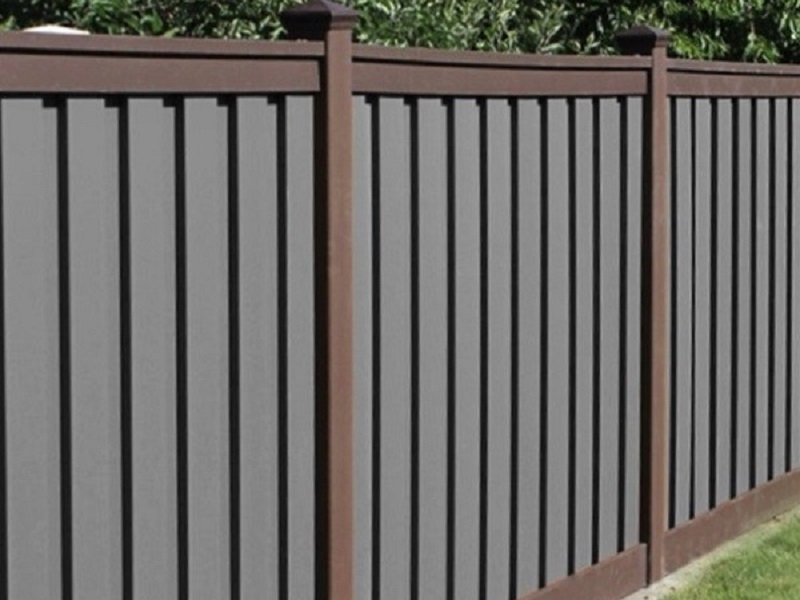 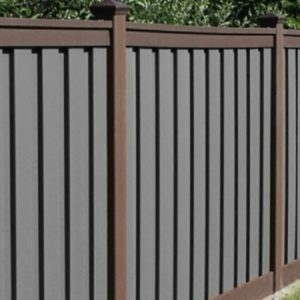 Fencing or screening helps to cover the view of these machines and Trex is particularly appealing as a solution because it provides full opacity and an attractive finish. 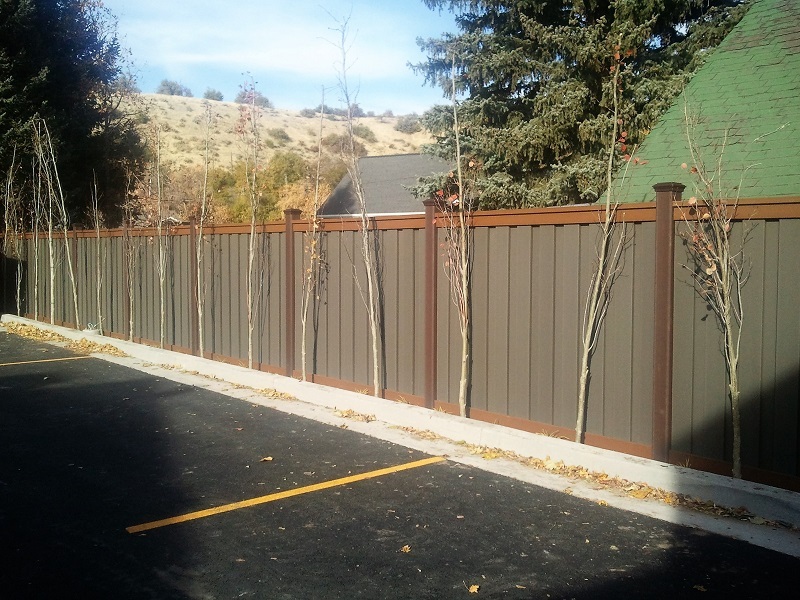 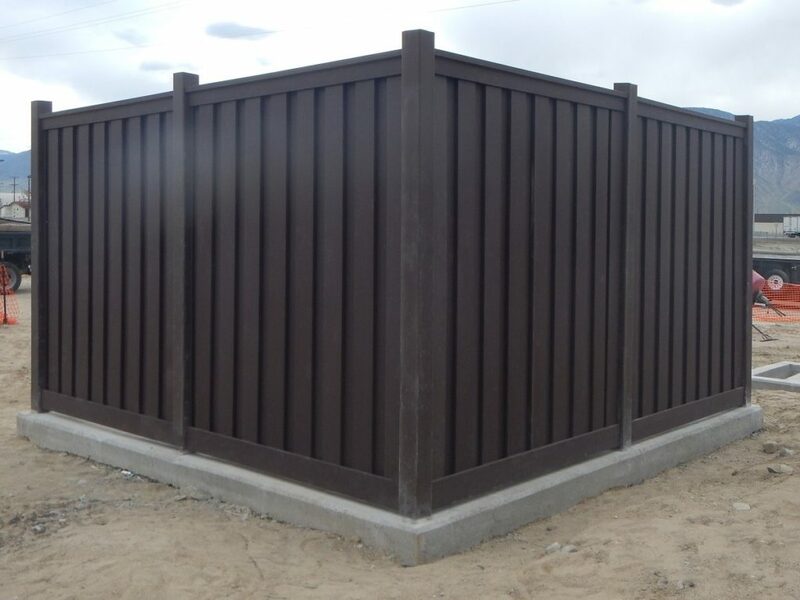 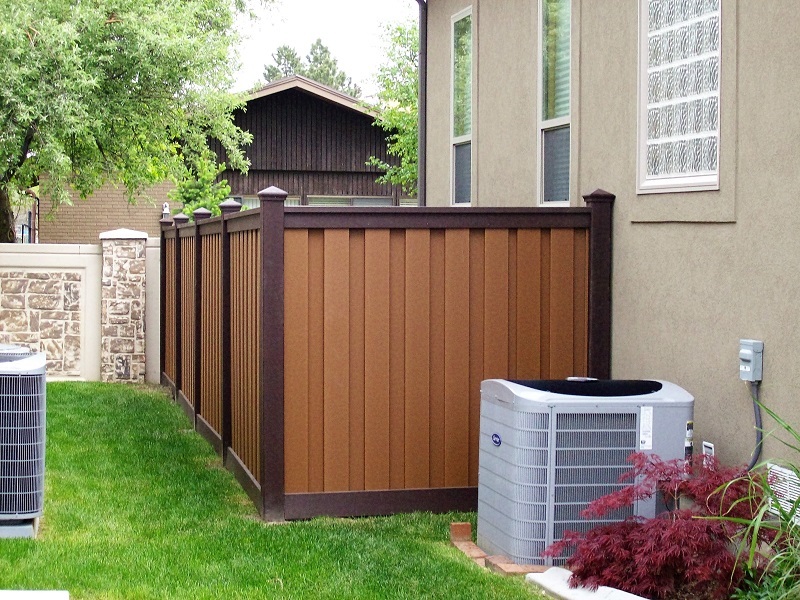 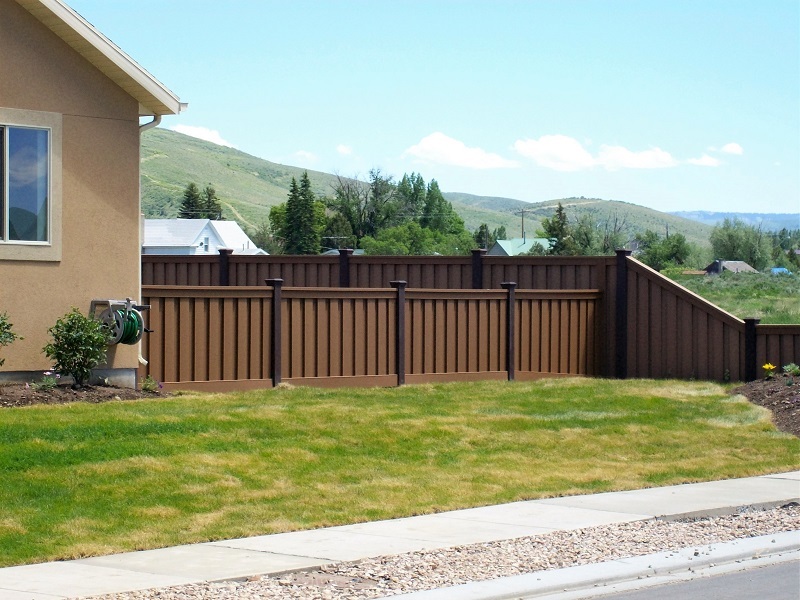 Here is an example of a utility enclosure in Nevada using 8′ tall Trex fencing. 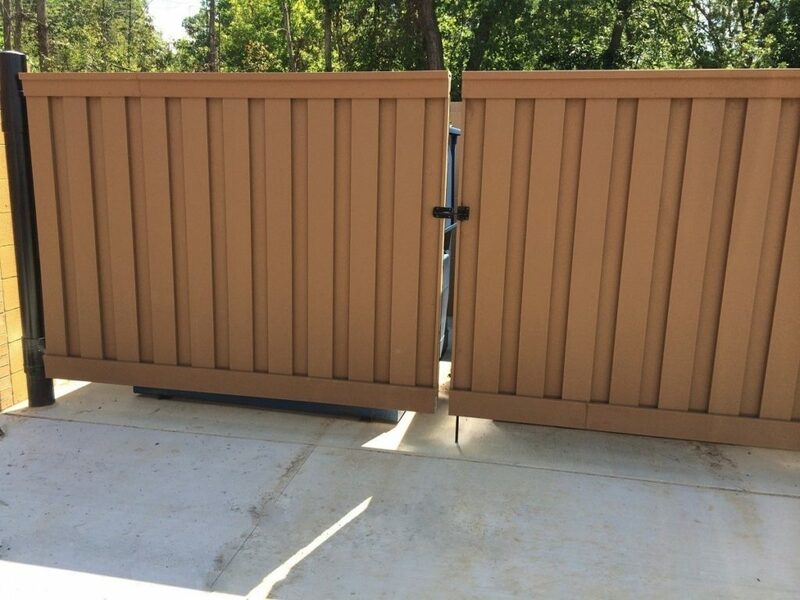 The other side has gates to allow access to the equipment. 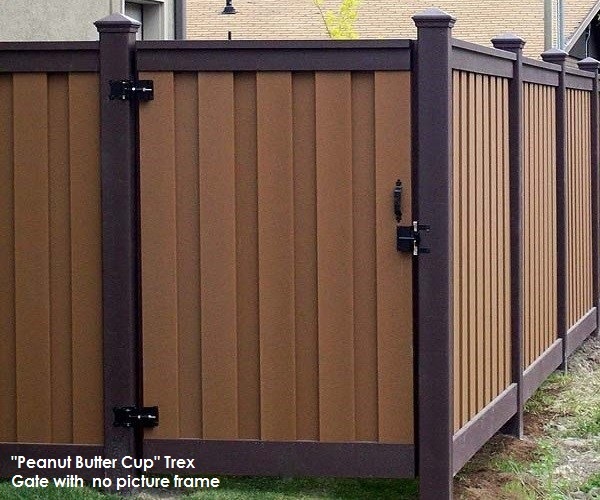 Trex for Dumpster Gates. 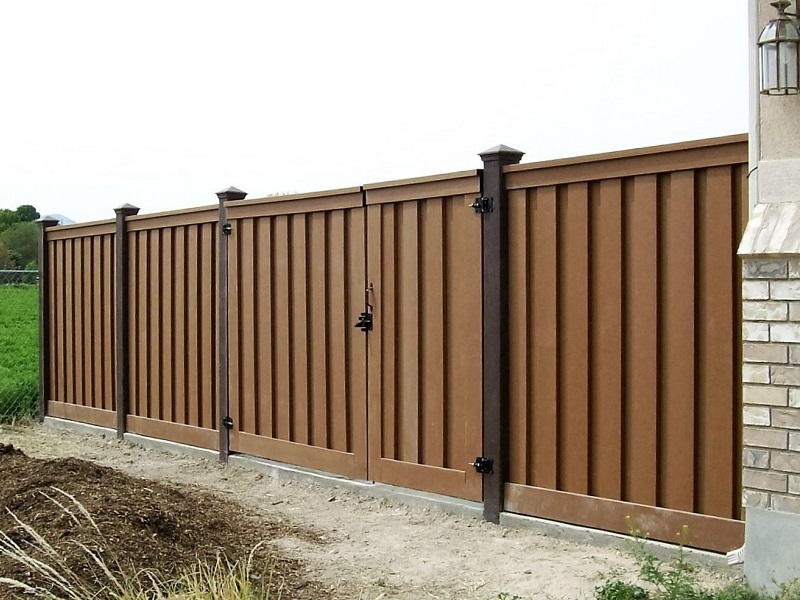 Like utility enclosures, Trex is often specified by architects for dumpster gates specifically for the reasons of aesthetics and durability. 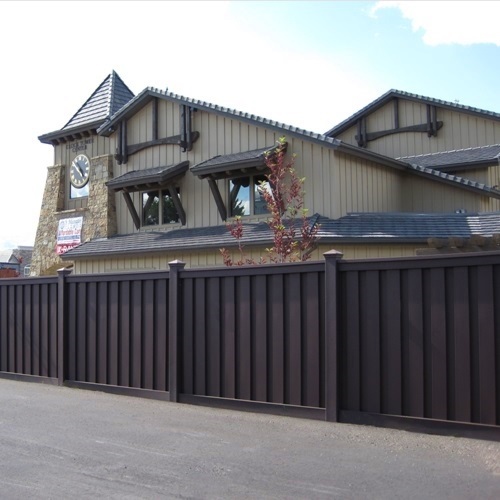 Here is a project for a Panera Bread location in Boardman, Ohio. 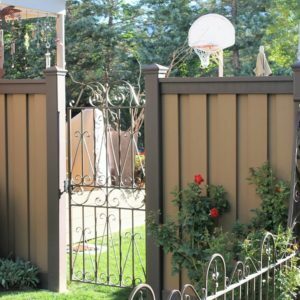 In this case, the opening was approximately 16 ft., so the contractor built a welded back frame and used Trex fencing on the front. 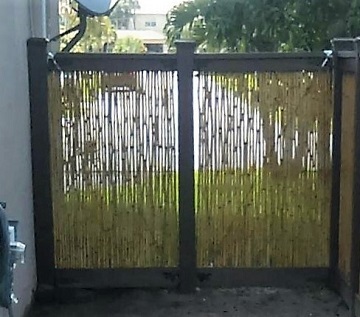 The interlocking pickets were attached to the frame using self-tapping screws and then the fasteners were covered up by the rails.